LifeArk is designed to build resilience by securing basic necessities, ensuring stability and creating space for families to thrive. Beyond secure, sustainable housing, LifeArk is a community-building tool for future development and regeneration. Each module can meet multiple needs across a wide spectrum, empowering entire communities to thrive. 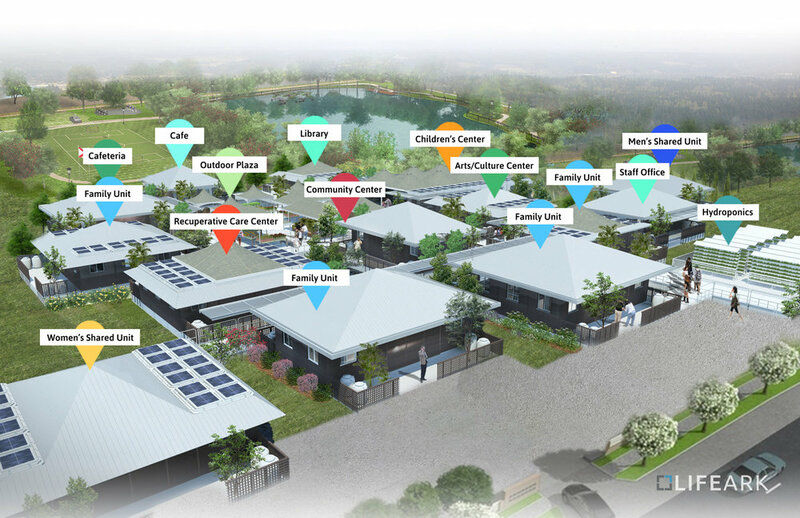 Whether it be a community center, health clinic, school, hydroponic farm or dwelling unit—LifeArk can become the spaces most beneficial to a community. The built-in amenities of each module will allow every space contribute to the community’s overall infrastructure, providing off-grid systems for clean water, energy and waste management.